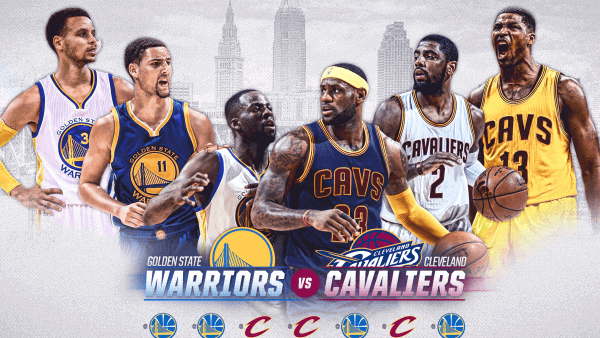 Cleveland Cavaliers vs Golden State Warriors NBA Finals 2017 info: Back to Cleveland we go! The Cavaliers will host the Warriors Wednesday, June 7 for Game 5 of the NBA Finals! With the Dubs leading the series 2-0, can the Cavs repeat history and make the comeback of a lifetime? Watch the game online, RIGHT HERE! Will the Warriors continue to sweep the Cavs in the NBA Finals? Will the Cavs get back on track at home? These are the burning questions for tonight’s game! The maroon and gold are officially back in the land for Game 3 of the NBA Finals. Tonight, the Cavs will try to break the Warriors record-setting lead of 14 consecutive wins in NBA postseason history. Watch all of the action, June 7 at 9 PM ET on ABC! You can live stream the game, below! But, it’s not over yet. Game 3 is Cleveland’s chance to put themselves back on top to keep the gold in Ohio. However, they will need LeBron James, 32, to be on par [which shouldn’t be an issue], Tristan Thompson, 26, smashing the boards, Kevin Love, 28, going hard in the paint, J.R. Smith, 31, to wake up [sorry, man], and Kyrie to outplay Steph Curry, 29, and make him dance. And, it wouldn’t hurt if Iman Shumpert, 26, came out with the same energy that he did in Game 2. No biggie, right? Well, LeBron seems to think the Cavs are well-prepared for Game 3. Check him out, below. However, if Steph and Kevin Durant, 28, come out like a Shaq, 45, and Kobe, 38, tag team [like they’ve been], then the Cavs could be in trouble. Not to mention, if Klay Thompson, 27, can keep his shooting on point [like in Game 2] then he will be a major threat, especially since his defense has been exceptional. One thing is for sure, tonight will be an intense game. Sports fans can watch every moment of Game 3 via ABC’s Live Stream OR on ESPN’s Live Stream [after entering in the appropriate login information]. Stay tuned to TheReporterTimes for latest NBA news and updates.